I’ve been comparing Thai and Western art in the last few posts, and I wrote that Thais can find the the West’s emphasis on static geometric forms crude. Through Thai eyes, that’s understandable. Thais have created a limitless variety of sinuous and rippling forms in their buildings, statues, panting and classical dances. But Westerners have used static forms in ways that are equally graceful. So we’ll look through Western lenses in this post, and enjoy some of Gothic style’s inner spirit. 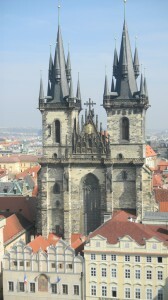 Prague’s Church of Our Lady Before Tyn, in the above photo, uses linear forms in the turrets to reach the heavens. Their lines seem to dissolve into the sky as they rise. 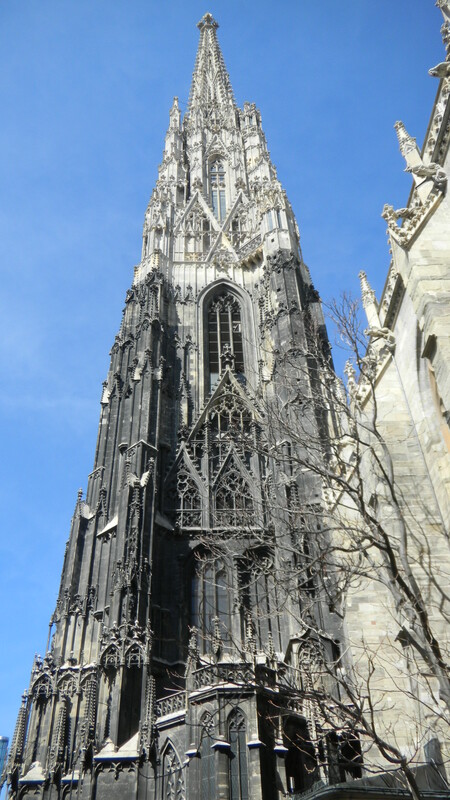 The builders of Vienna’s St. Stevens Cathedral did this even more dramatically. They created several stacks of lines. They’re progressively set back. So many levels of lines rise until the linear form seems to dissolve into pure spirit. 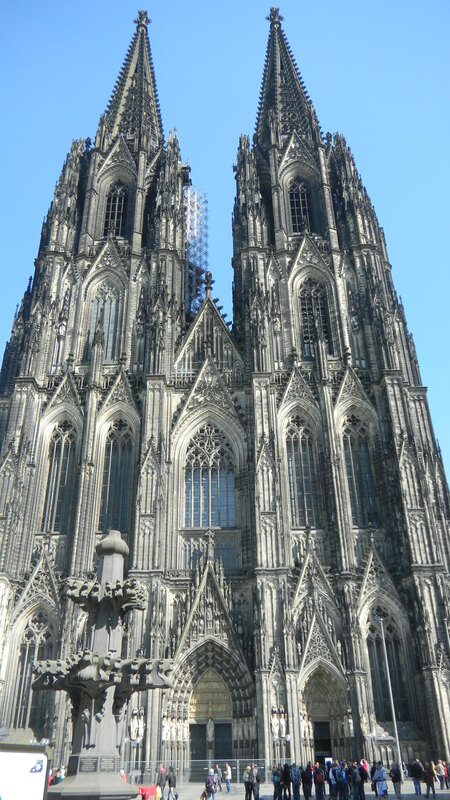 Though the entrance facade of Cologne’s cathedral (above) wasn’t built until the 19th century, it’s one of Gothic style’s best examples of transforming line into spiritual realms. 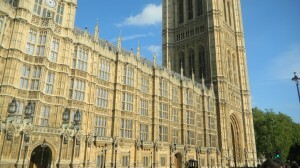 The British parliament building in London is another Gothic glory from the 19th century. 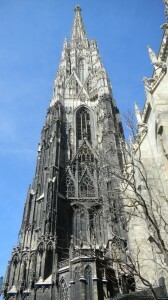 English Gothic is known for its exquisite use of lines. 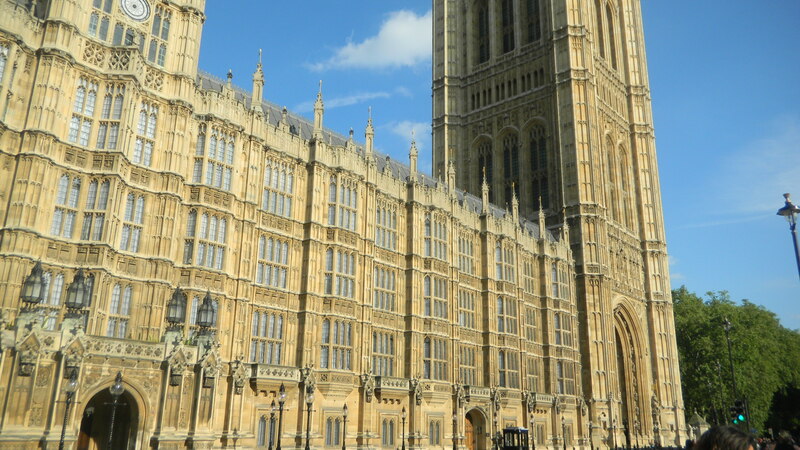 The old parliament building burned down in the 1830’s, and the British reached back to an old tradition to erect the modern building. The lines are so delicate that the wall seems as light as a lace curtain. The West’s focus on lines and static shapes goes way back to ancient Greece. By the High Middle Ages, artists used these same forms to transcend them and become closer to God. In the next post, we’ll explore more Thai ways of seeing the world. I find both ways equally beautiful, and they get even more so when you see them side-by-side and examine the cultural backgrounds they emerged in. Get ready to soar into spiritual realms.